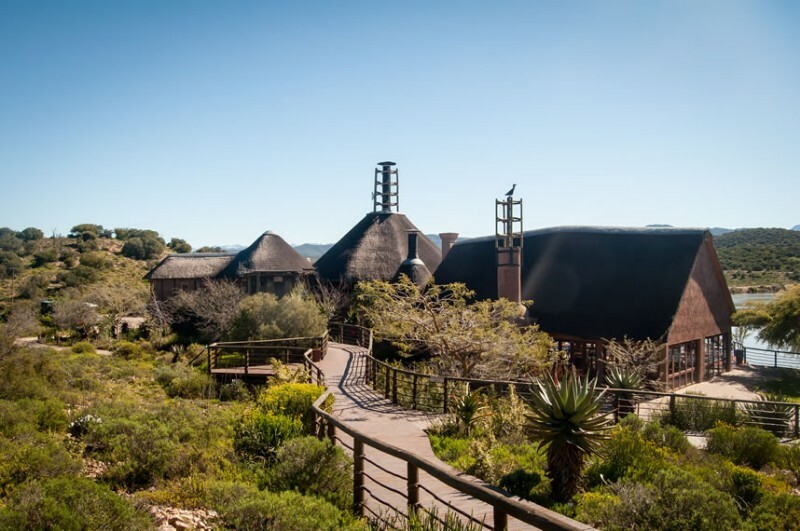 Buffelsdrift Game Lodge is situated in the heart of the Klein Karoo which is part of the world famous Garden Route in South Africa. We are located 6.5 km just outside of Oudtshoorn, the Ostrich capital of the world. The lodge is situated only 300 metres from the tar road leading to the Cango Caves. 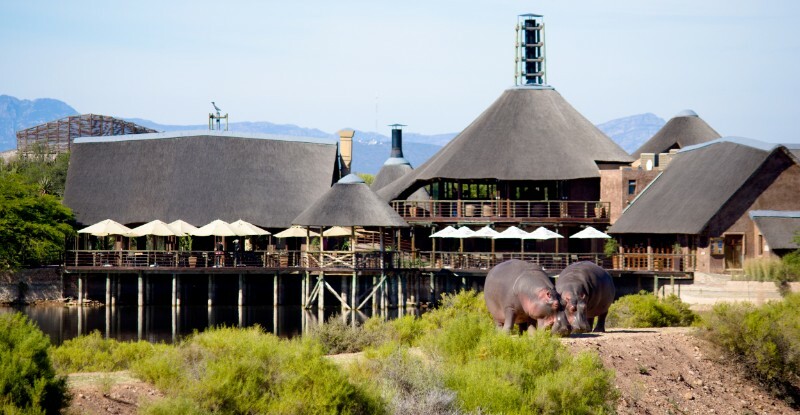 The main lodge area is right next to a 5ha waterhole, filled with big fish, turtles and hippo. 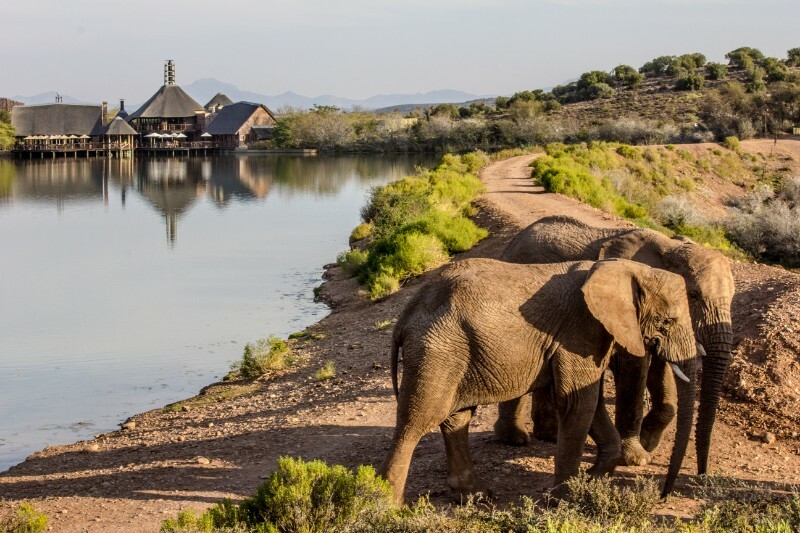 From the wooden deck that surrounds the lodge area, you can see our elephants walking, our hippo and fish in the water as well as other game grazing on the opposite bank. If you are lucky you will even spot the fish eagle catching his daily meal. 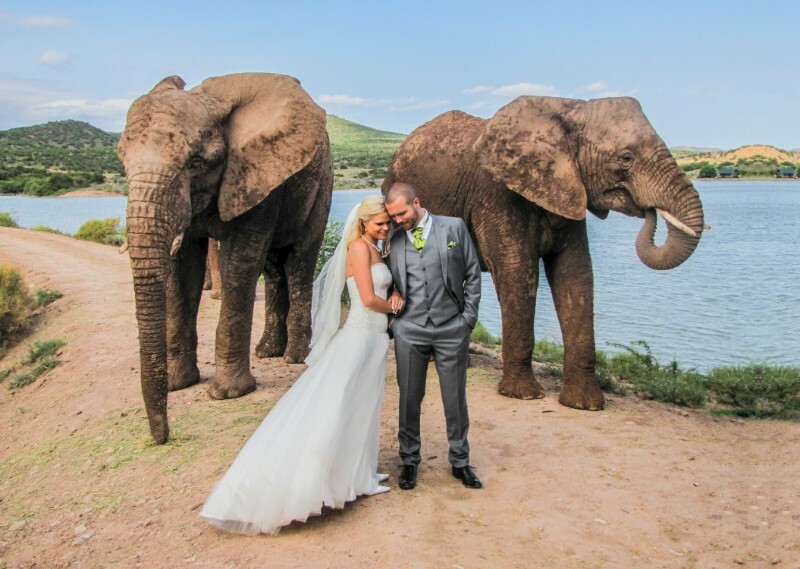 We have a wide variety of activities such as Bush Safaris & Elephant Feeding & Brushing and Walking. We are also well equipped to host conferences and weddings and have in house specialists that can assist you with this. Our luxurious tents is a unique feature. We have 9 Luxury Waterfront tents that are at the waters edge. Each with a private deck overlapping the water. You can enjoy sundowners here or just relax in the warm African sun. You can spot hippo and other game right from your tent. We also have 20 Luxury tents a few metres further from the water. These have magnificent views over the waterhole and general lodge area. Furthermore, we have 5 Family tents perfect for the whole family with 2 rooms and a sharing bathroom. Our residents have their own private swimming pool to cool off on hot Karoo days. 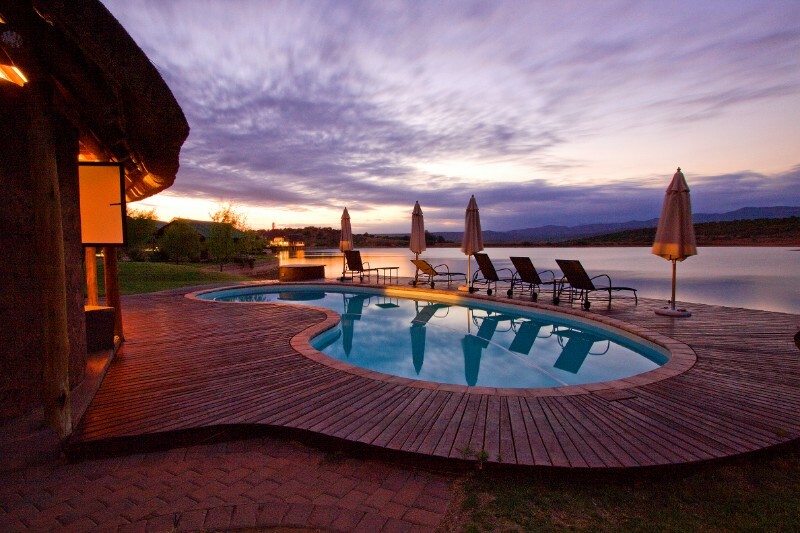 The pool, like the waterfront tents, is at the edge of the waterhole and an amazing place to relax and enjoy a nice swim whilst having the wildlife close to you. 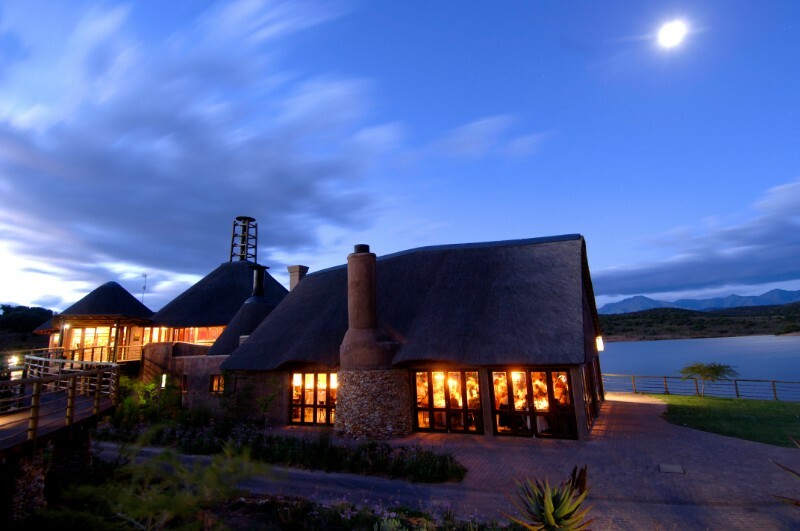 We have one of the finest restaurants in Oudtshoorn. Our A La Carte menu offers some of the best cuisine in the Karoo. Our menu will suit anyone and our wine list has just been awarded the DinersClub Diamond award.